Min. 2 ex. 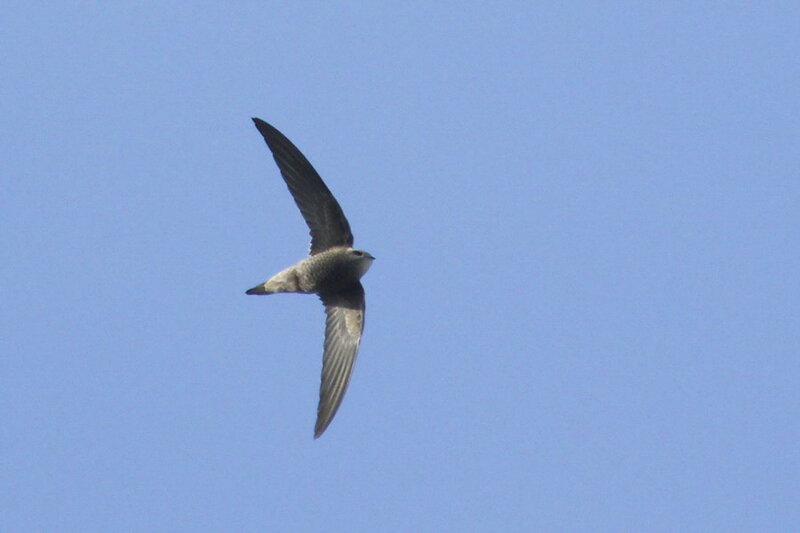 Probable breeding together with Common Swifts in buildings, in Silistra (Bulgaria). First breeding attempt of the species in Romania. 2-4 individuals are present at the same location from 9th June..
close to the Bulgarian border (Silistra town). 1 De Cocksdorp, Texel, Holland. 9th for the Netherlands, still present. 5th record for the country. Minimum 2 ex. with Common Swifts (A. apus). 2 Rotterdam and Neeltje Jans, Holland. exceptional numbers this year (5th and 6th). 1st record for Poland, if accepted. only refound around 16h; several other Pallid swifts reported today, but following research will have to point out the true number. 2nd for the Netherlands, flying around till dusk; first one (20/21 oct 2006) was also on Vlieland. first this autumn, found October 17th. 9th record for Sweden if accepted. first record for Austria if accepted. 1 Hammarö fågelstation, Värmland, Sverige. First record for the Netherlands if accepted. Present for a couple of hours together with a Common Swift. First record for the Netherlands if accepted. 1 Bryher. Scilly	, England. 2 Knösen-spetsen, N Knösen, Skåne, Sverige.